The chamber music of Vivaldi is a remarkable side of Vivaldi’s art, and the Vivaldi Renaissance is one of the more meaningful facts about baroque music in our time. The concertos and the sonata here recorded are seldom performed and recorded, but through the link between virtuosic liveliness and deep melodic expression, counterpoint and melody focus brilliantly to show Vivaldi’s talent and artistry. Antonio Lucio Vivaldi, an Italian composer and violinist in the Venetian Baroque, was one of the best violin virtuosos of his time. Once considered one of his era’s most celebrated violin virtuosos, he is now considered one of the greatest Baroque composers. 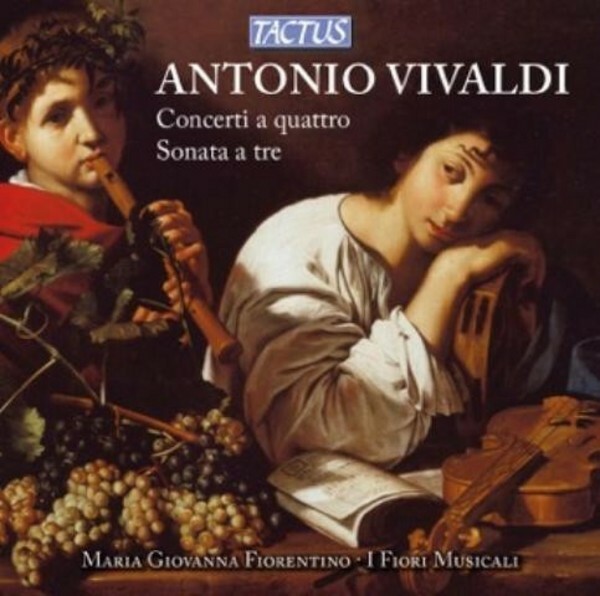 Hailed throughout Europe as a most important, influent and original composer, Vivaldi critically contributed to the development of the solo concerto initiated by Giuseppe Torelli, simultaneously doing so in the development of violin technique and orchestration. Throughout his lifetime, Vivaldi - a composer of many lyric operas - penned an enormous corpus of works encompassing countless concertos, sonatas and sacred music. In his concertos and chamber sonatas, Vivaldi reveals his wonderful melodic talent with both deep and elegant allure.